Mindhunter is an American crime drama TV series created by Joe Penhall, based on the true crime book Mindhunter: Inside the FBI’s Elite Serial Crime Unit written by John E. Douglas and Mark Olshaker. It is Set in 1977, in the early days of criminal psychology and criminal profiling at the Federal Bureau of Investigation. Mindhunter revolves around FBI agents Holden Ford (Jonathan Groff) and Bill Tench (Holt McCallany), who interview imprisoned serial killers in order to understand how such criminals think and apply this knowledge to solving ongoing cases. Before the first season had even aired, it was renewed for a second season. The last episode right at the end when they played “Psycho Killer” by the Talking Heads this was so on point and it gave me chills! He has hunted some of the most notorious and sadistic criminals of our time: The Trailside Killer in San Francisco, the Atlanta Child murderer. He has confronted, interviewed and researched dozens of serial killers and assassins, including Charles Manson, Richard Speck, John Wayne Gacy, and James Earl Ray – for a landmark study to understand their motives. To get inside their minds. 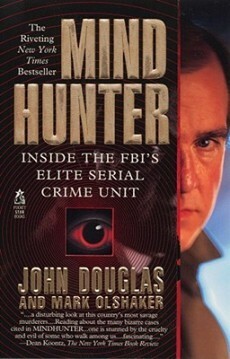 He is Special Agent John Douglas, the model for law enforcement legend Jack Crawford in Thomas Harris’s thrillers Red Dragon and The Silence of the Lambs, and the man who ushered in a new age in behavorial science and criminal profiling. Recently retired after twenty-five years of service, John Douglas can finally tell his unique and compelling story. Good and super disturbing at the same time. I loved the way they ended the season. I wouldn’t read the books because I can only imagine the detail that would swirl around my brain ready for nightmares. I loved this series. Don’t know how I’ll be able to wait next year for Season 2! One of the best crime thriller!!!! Definitely, can’t wait for the second season.